Awesome… those packets represent 12000 bits (8*1500 bytes) of data each, and they climb forever. 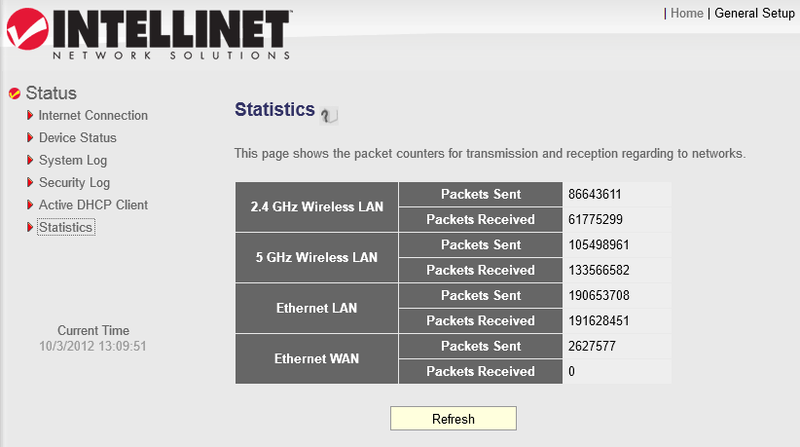 In my application this is used as a dumb access point, so we can ignore the WAN numbers. Right clicking on the Statistics link on the left that leads to this page and copying the link tells me the actual URL for this page is dlink.schettino.us/stats.asp (this is an internal URL, it's not resolvable outside of my network) Yes, I used to have a dlink router here, but it died. The next bit of info we need is to check how the router does its security – the router asks for a user/pass to access its website, and sure enough it uses simple HTTP authentication. -e '6s/^. *&nbsp;/ethrecv.value /' -e "1,6p"